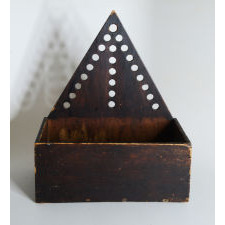 Purportedly Zoar, OH. 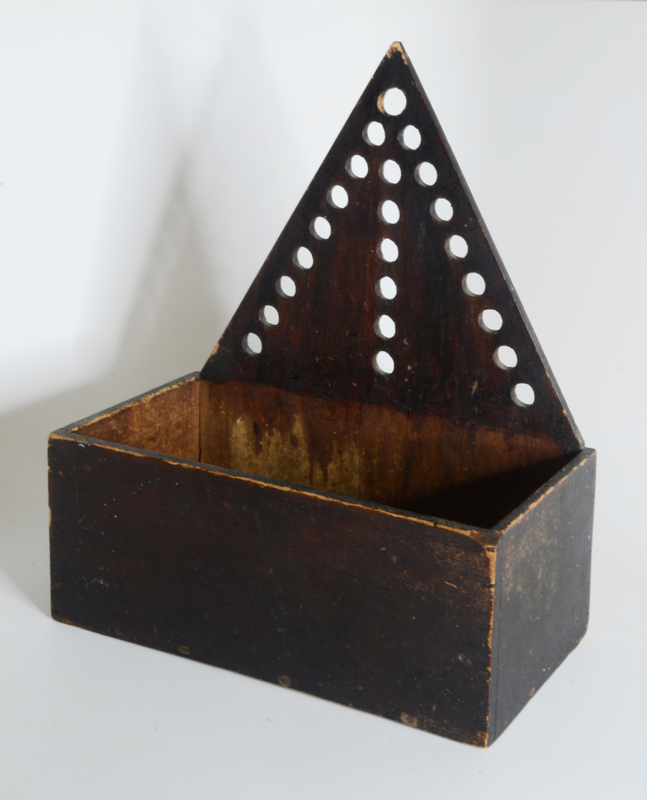 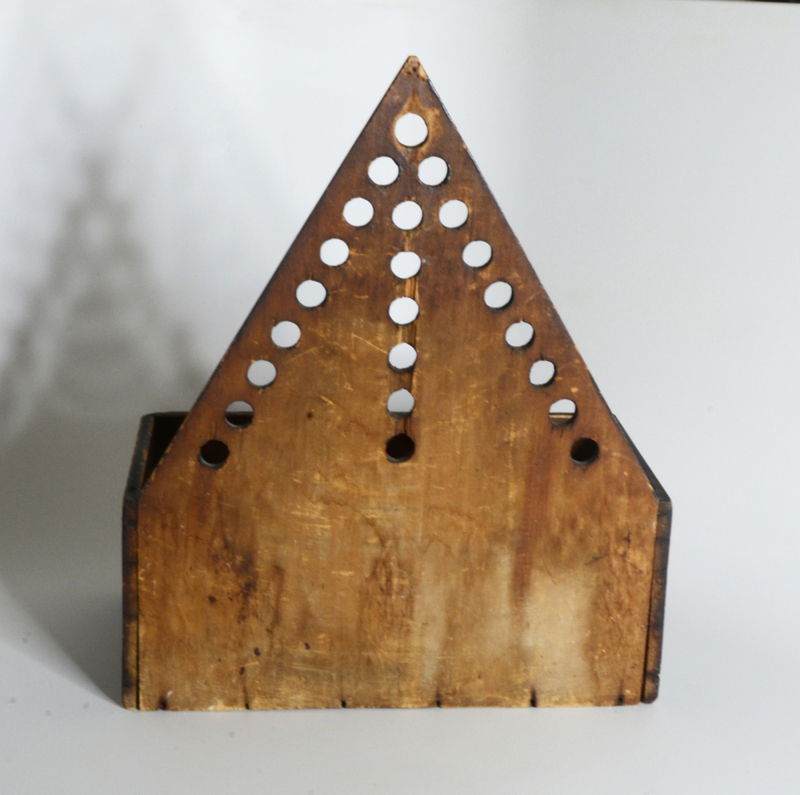 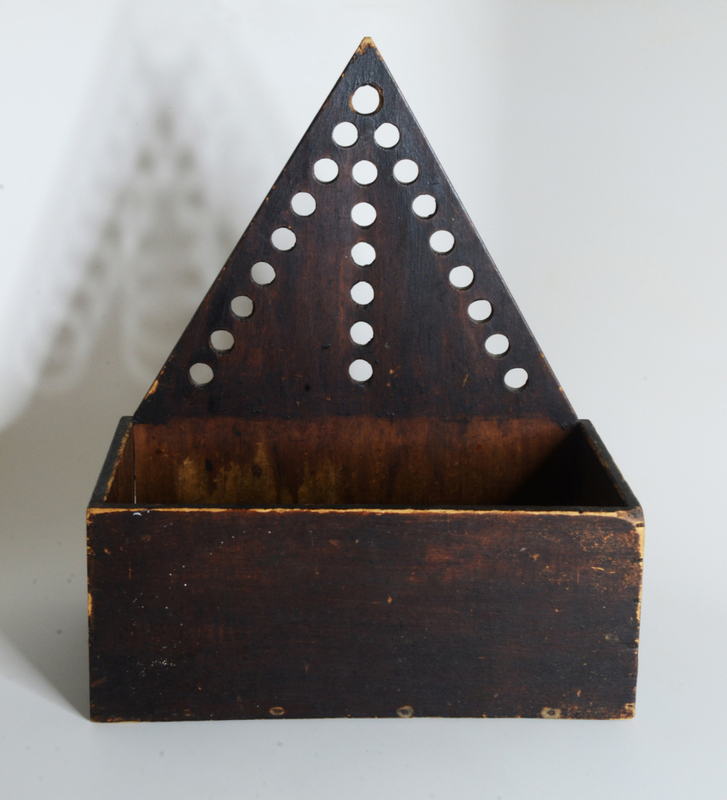 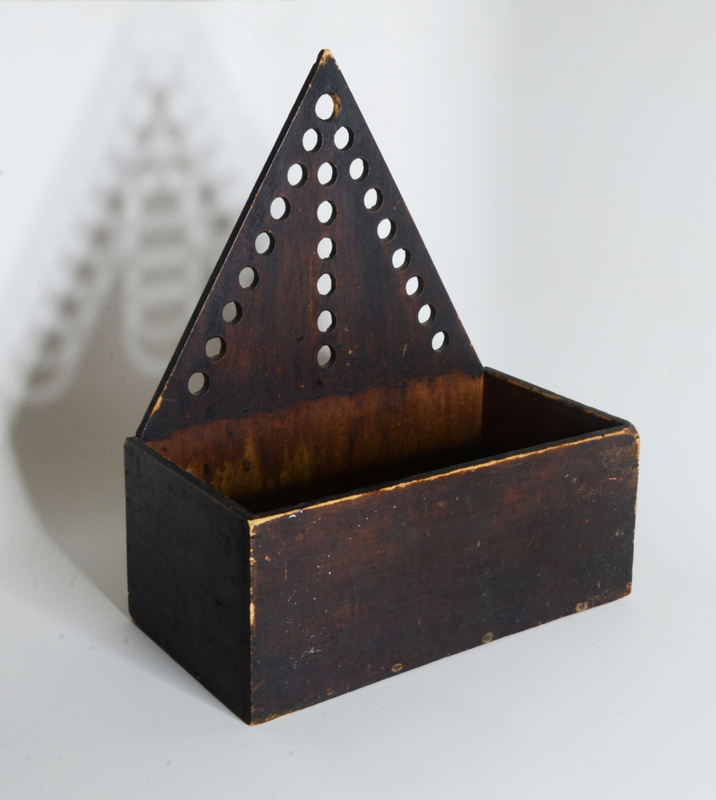 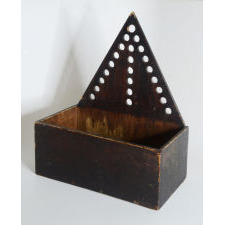 A neat wall box with a striking backboard in the shape of a sharply pointed triangle with several circular cutouts in the form of an arrow. Constructed of thin pine boards and tiny cut nails.